1The authors are with The University of Edinburgh, Edinburgh EH9 3JL, Scotland. The performance of liquid-crystal-over-silicon spatial light modulators has advanced rapidly in recent years. Most progress has centered around new device designs with increased bandwidth. 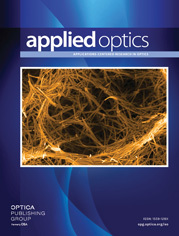 In this paper we report on a number of techniques to improve the optical quality; these have applications in both current and future devices. a nMOS, n-type metal-oxide semiconductor. b CMOS, complementary metal-oxide semiconductor. c SRAM, static random-access memory. d DRAM, dynamic random-access memory.